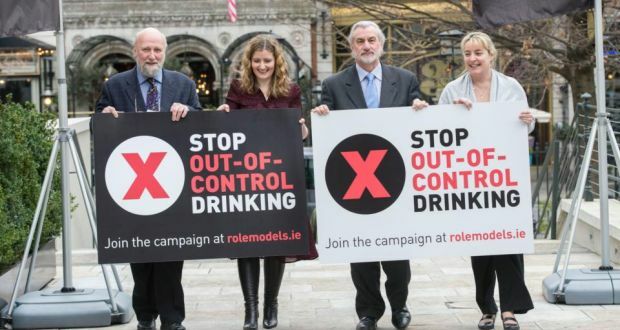 HomeNewsNew report heavily criticises Diageo funded “Stop-Out-Of-Control-Drinking” campaign. A critique of the Stop-Out-Of-Control-Drinking campaign was released earlier this month. The report was published by the Public Library of Science (PLOS ONE), an international journal that focuses on science and medicine. It was written and researched by six health academics in UCC, London and Stirling, Scotland. President of DCU, Brian MacCraith is one of the original 17 members of the board of the campaign. SOOCD was set up by Diageo, the multinational alcohol company, who invested €1 million into the campaign. Fergus Finlay, Chief Executive of Barnardo’s chairs the campaign. David Smith, Chief Executive of Diageo resigned from the campaign following an array of negative media coverage of the campaign. However, Diageo did not pull their funding. However, President MacCraith was unavailable for comment regarding the critique released this week. The report lists the campaign’s board members, their role, backgrounds and previous connections with Diageo, along with how many interviews each have participated in relating to the campaign. Six of the original members have connections to the drinks company. Throughout the detailed analysis conducted, the report found that “out of control drinking” is presented by the SOOCD as a behavioural issue among young people, particularly young women. It found that, according to the board members, there are three main causes of excessive drinking in young people: individual attitudes and motivations; Irish culture, tradition and society; and peers and parents. The health consequences of alcohol are almost entirely absent from discussion within the campaign. It found that most board members place the greatest emphasis on the visible behaviour, not the effects on health. It was noted that the role of the alcohol industry in “creating and shaping that culture” is never acknowledged by most board members, while drinking culture is continuously cited as a crucial cause of “out of control drinking”. During the examination of the emphasis on “drinking behaviour” rather than health, the report claimed that it is “very supportive of the needs of the alcohol industry, but not of public health”. It was suggested that the alcohol industry may focus on underage drinking and antisocial behaviour, as “publicly visible antisocial behaviour poses a significant PR challenge because it affects attention in the media”. The parallels between the campaign and the “tactics and framing” employed by the SOOCD campaign have many similarities, the report determined. SOOCD campaign was identified to have included tactics such as indirect lobbying in order to oppose public health measures; forming alliances with civil society organisations and consumers; the promotion of non-regulatory initiatives and a focus on individual responsibility. All of which are activities deployed by the alcohol industry, according to the report. The report recalls critics suggesting that it “aims to undermine” Ireland’s latest alcohol Bill, published on 3rd February 2015. It states that some board members support the “framework” of the bill, however, do not comment or support specific elements of said bill. The legitimacy of the SOOCD campaign was examined in the report, following the excruciating criticism it has undergone in the media, since its birth in 2015. While some members have previous or current links to Diageo, the topic of independence is evident through many of Finlay’s statements: “Funded by Diageo, nobody tells us what to think”. Following on, he states: “When a group of us came together, Diageo gave us a written memorandum that underpins our independence from them”. The report includes many quotes from various members of the board, as evidence of their findings. MacCraith and Rafter are not quoted once. The SOOCD was launched as a five-year plan. However, social media activity has ceased and the campaign’s website is inaccessible. Several board members resigned since the campaign began due to the extensive criticism it received. Dr. Ciara Kelly, Psychologist Krystian Fikert, Paul Gilligan and David Smith resigned in March 2015.